Preparation for your CT will depend on the type of exam. Before your CT scan, please contact us so we can provide specific instructions and review your health and insurance information. CT Abdomen/Pelvis: Need to have nothing to eat or drink 4 hours prior to exam. Patient is to arrive one hour prior to exam if you are scheduled for CT ABDOMEN and two hours if you are scheduled for CT PELVIC or CT ABDOMEN & PELVIC. A liquid contrast (barium) will be given to you to drink for the procedure. Administration of this contrast agent can improve the visibility of organs and structures otherwise obscured. Any CTs with IV contrast need to have nothing to eat or drink 4 hours prior to exam. Any CTs without contrast consist of no preparation prior to procedure. PLEASE CONTACT US IF YOU ARE ALLERGIC TO IODINE. FEMALE: PLEASE CONTACT US IF YOU ARE PREGNANT OR ARE BREASTFEEDING. You will lie on a cushioned table, and once comfortably positioned, the tabletop will move through a gantry (shaped like a big donut). Multiple, low-dose x-rays are passed through the body at different angles. Images are acquired by detectors that measure the x-rays that pass through your body. The computer processes this information to form an image that the radiologist will review and interpret. 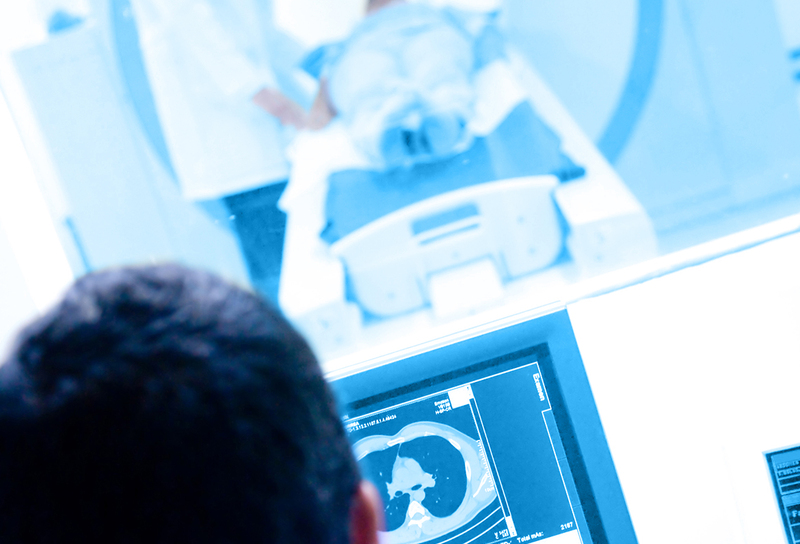 Depending on the type of exam, your CT scan can take anywhere from 10 to 20 minutes.